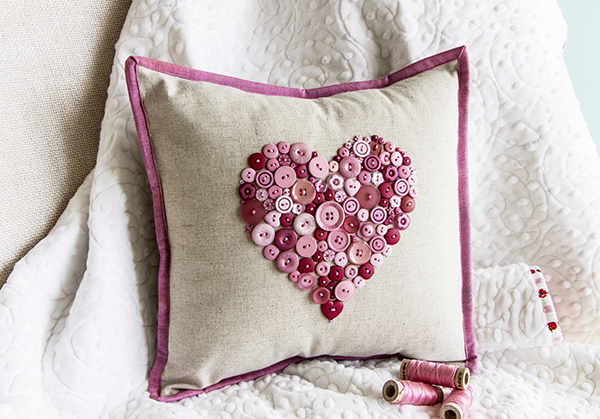 There's nothing sweeter on Valentine's Day than a gift that truly comes from the heart, and what better way to show your loved ones you care than with something made by hand? 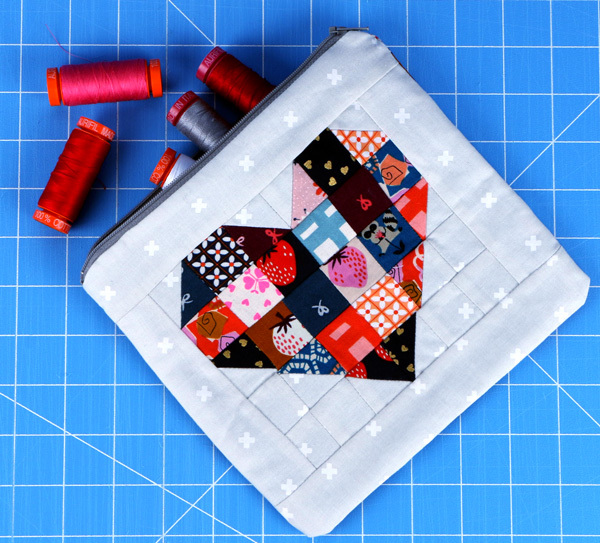 We have some adorable projects for you to whip up on this holiday, and our Valentine's Day fabric selection is sure to spark your creative side! This free template features the precious pink hues from Just Another Button Company! This quick and easy project can be completely customized for anyone with so many fabric and button color options! 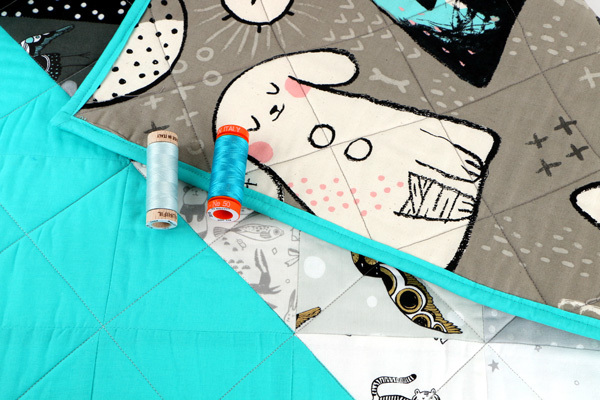 From Me and My Sister Designs, these templates are Fat Quarter Shop's Notion of the Month (hint hint, 20% off)! 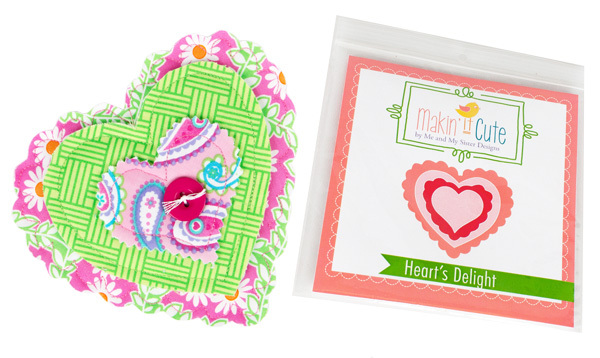 Use these heart-shaped templates to embellish quilts, bags, scrapbooking projects, even headbands and apparel! When used alone, these make very quick and sweet Valentines for all of your friends! 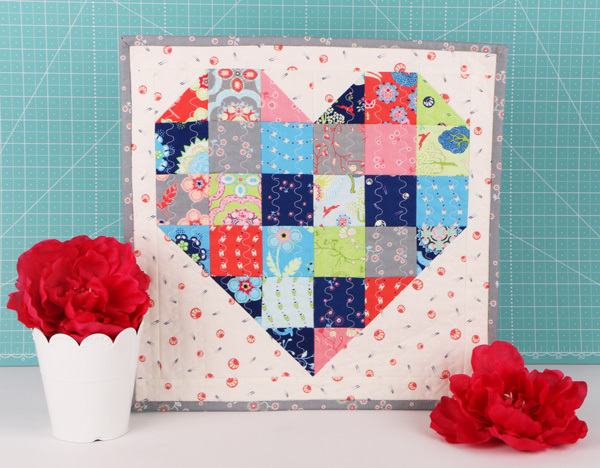 From our fun Applique All Day series with Anne Sutton, this free Hearts & Flowers Block is the perfect project to practice your appliqueing with Aurifil 80 wt! 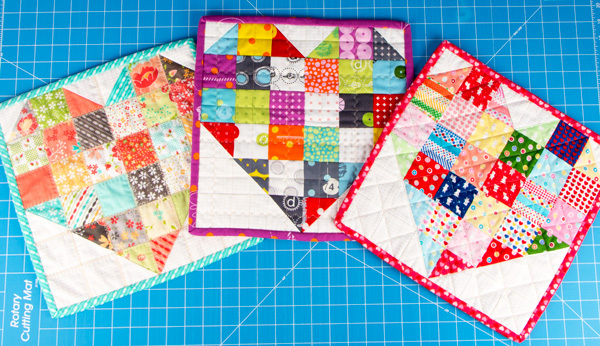 This 6" x 6" block is a quick project that is sure to brighten anyone's day! More savings! 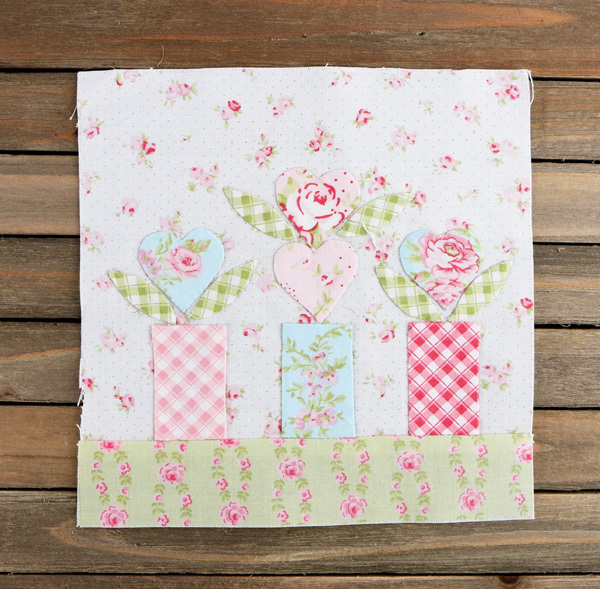 This precious pattern is our pattern of the month (more savings for you)! 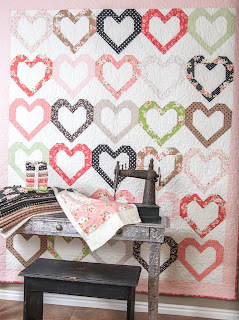 By Lella Boutique, the rows of hearts across the Open Heart quilt top have our hearts bursting with love! Are you looking for a Valentine's Day project that can double as a childhood toy or momento? Look no further! This adorable Kewpie Doll Kit includes a Kewpie Love fabric panel to make 6 doll accessories and an 8" Kewpie doll. Are you in need of some more inspiration? 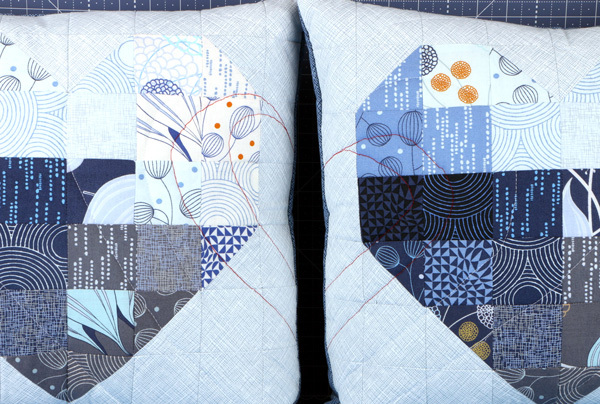 One thing that we love about patterns is the ability to make them your own, or to fit the personality of your loved one! 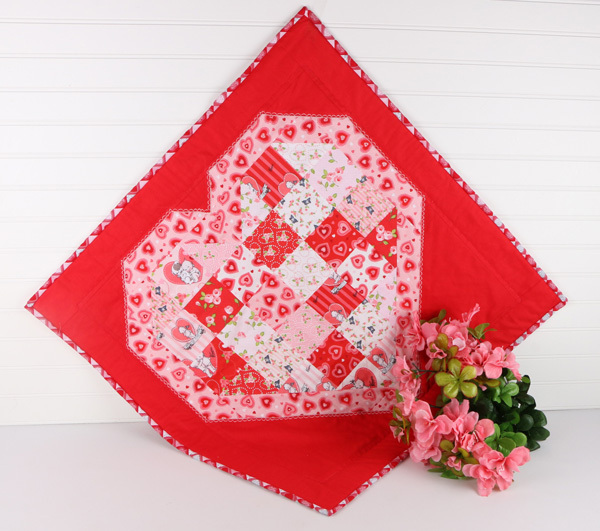 Check out some of our in-house Valentine's Day projects with different interpretations of our free Color Of My Heart Pattern! 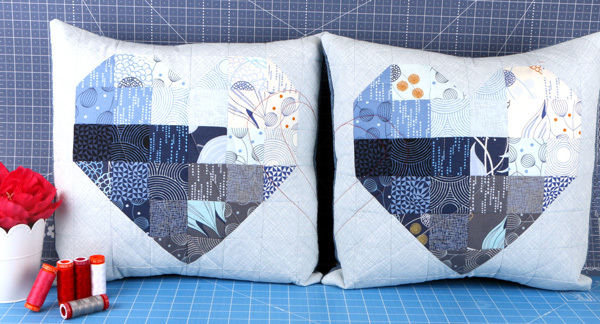 Valentine's Day Pillows featuring True Blue by Zen Chic for Moda Fabrics and Architextures by Carolyn Friedlander for Robert Kaufman Fabrics. Zipper pouch featuring Yours Truly by Kimberly Kight for Cotton + Steel Fabrics and Cotton + Steel Basics. Wall hanging featuring Manderley mini charm packs (instead of charm squares as used in the pattern) by Franny and Jane for Moda Fabrics. Wall hanging featuring Sundrops by Corey Yoder for Moda Fabrics on the left, Hey Dot by Zen Chic for Moda Fabrics in the middle, and Mini Muu Spring 2016 by Lecien on the right. 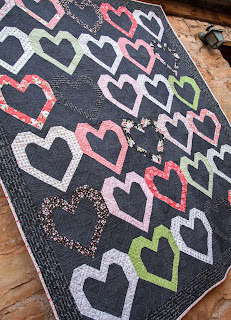 Valentine's mini quilt featuring Kewpie Love by Riley Blake Designs. 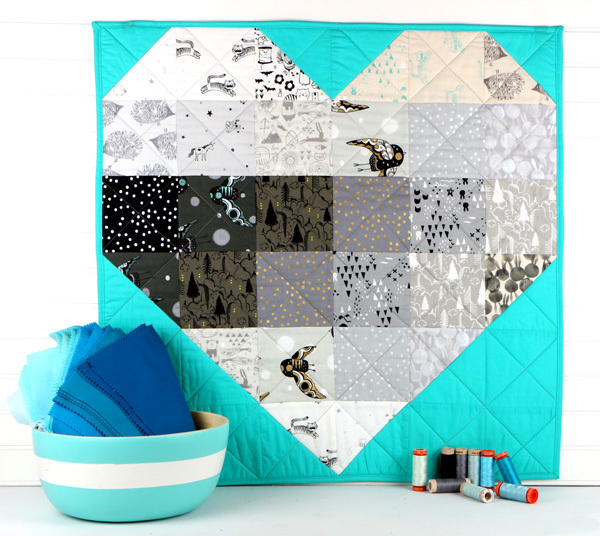 Valentine's Mini Quilt featuring Sleep Tight by Sarah Watts for Cotton + Steel.